Art critic Waldemar Januszczak has said the medium which won this year’s prestigious Turner Prize is “old hat” but the problem is that film and video is “so easy to do that it attracts the untalented”. Glasgow-based artist Charlotte Prodger triumphed at the 2018 Turner Prize with her iPhone-shot film, with her fellow competitors all using moving image as their mode of expression. Re: the Turner Prize – I wish people would stop thinking there is still something avant-garde about film and video. Artists have been making film or video since the 1960s! It’s old hat! Traditional! Its problem is that it’s so easy to do that it attracts the untalented. Prodger, 44, said she accepted that her work centring on “queer identity” shot on a smartphone would spark a backlash from some cultural quarters. She added that the negativity is nothing more than gay people face on a daily basis. The video artist, born in Bournemouth, won a £25,000 prize for her works Bridget and Stoneymollan Trail, which impressed Turner Prize judges for the perceived timely commentary on identity politics. The artist does not wish to respond to critics who think her prize may merely be fashionable. On potential detractors, Prodger said: “I’ve had it all my life. “That’s what queer people experience on a daily basis. How do I feel about it being modish? “I don’t really feel like responding to people who make those allegations. It’s a different level of experience. It’s amazing to win the Turner Prize but it’s not the be all and end all. “It’s good to keep it real and have perspective on struggles that people are facing. Prodger was asked about what message her artwork might convey to the viewers of her films, but struggled to provide a conclusive answer, except that her audience is larger. She said: “I don’t know. I’m not sure. 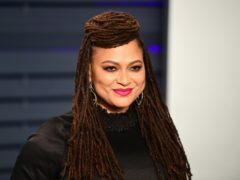 Four nominees were shortlisted for their filmic entries, all using moving images to explore issues Turner Prize judges deemed “timely and urgent”. 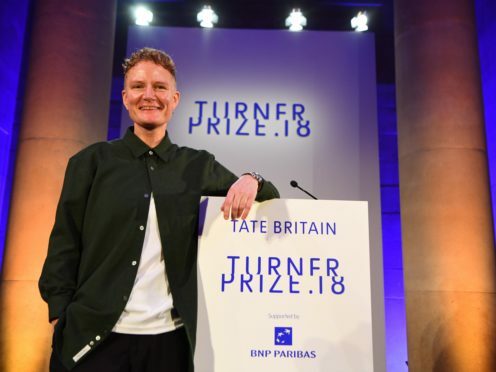 Apple chief Tim Cook has praised the Turner Prize winner for her work, citing her use of his company’s key product as a step towards the “democratisation” of film and photography.